The NAFTA renegotiation gets underway today, days after Canadian Foreign Minister Chrystia Freeland outlined Canada’s NAFTA negotiating objectives. 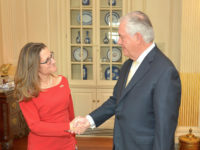 As her first core objective, Freeland identified modernizing NAFTA so that “all sectors of our economy can reap the full benefits of the digital revolution.” Those comments suggest that the IP chapter and a new e-commerce chapter will be top negotiating priorities. 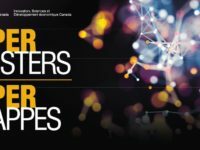 I’ll post on the e-commerce chapter tomorrow, but this post highlights my recent CIGI essay on how Canada can use the NAFTA intellectual property chapter to help level the innovation playing field. 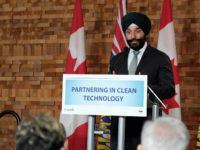 The Centre for International Governance Innovation, the well-respected independent think tank based in Waterloo, has posted the first part of an exceptional new series on innovation. 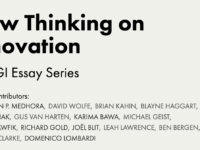 From the introduction from Rohinton Medhora to several pieces on innovation and trade (Kahin, Haggart, Ciuriak, and Van Harten), the series promises to provide politicians and policy makers with valuable insights to support the government’s focus on innovation. I was delighted to participate in the project with a piece titled How Trolls are Stifling Innovators, Gamers and Netflix Junkies. Amend the definition of a taxi business under the Excise Tax Act to level the playing field and ensure that ride-sharing businesses are subject to the same GST/HST rules as taxis. This change should not be particularly controversial. No one likes paying taxes, but equal application of sales taxes ensures appropriate revenue collection and a level-playing field for all businesses in the sector. As I noted in an earlier post, I expect that this is a first step toward extending requirements to collect and remit sales taxes on foreign digital services such as Netflix and Spotify. 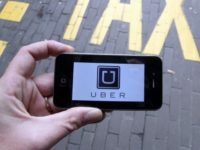 Applying sales taxes to all foreign digital services is complicated – there needs to be thresholds implemented to ensure that administrative costs do not outweigh revenues collected – but Uber is well established in Canada with many local jurisdictions establishing a regulatory framework for the service.